ST. LOUIS, MO. 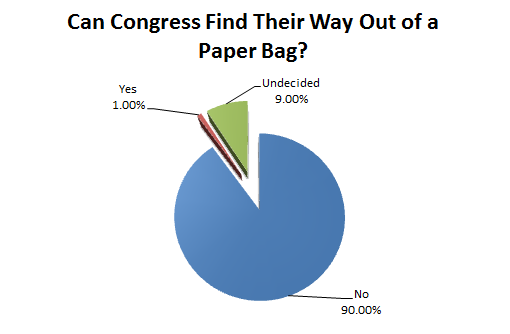 A new poll by Ipsos North America reveals that 90% of Americans think Congress is a hall of idiots. Still, the poll also revealed, no one wants the job. “We’re stuck with them,” said respondent Edwin Harris, 48, from Butte MT. Have an opinion? Tweet it to @FollowSWP.